You’ve been treading the same old path for years with those age-old conventional employee administration methods, only to convince yourself about their efficiency, despite deep somewhere knowing that these conventional techniques wouldn’t work for long, and you’d require the technology prowess to manage these in the long run! Complex, isn’t it? Then why complicate business, and the life of your own employees? 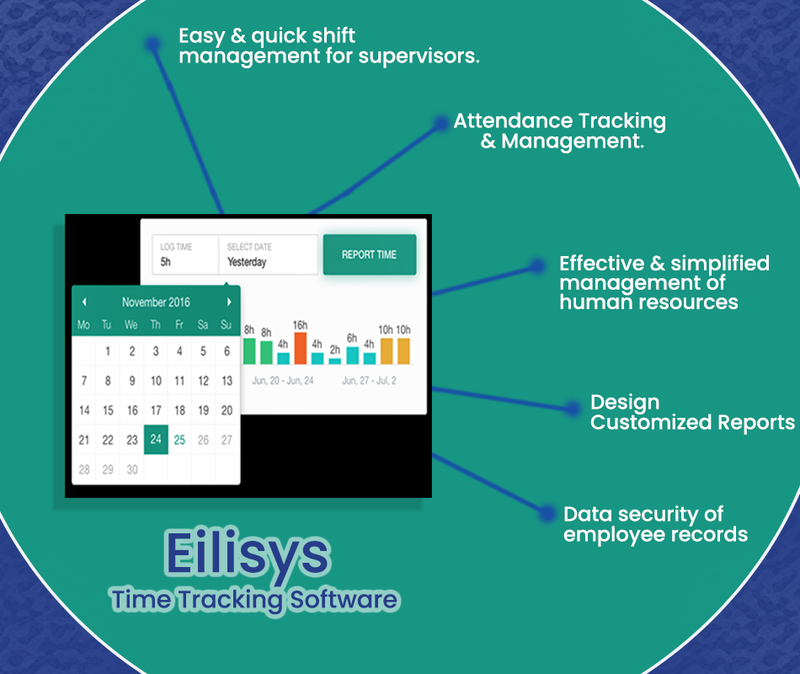 Here’s Eilisys’s employee time tracking software that would help you place employee administration for your company on track. This blog would categorically look at some of the benefits brought to your desk by Eilisys’s HCM software, employee time tracking software and HR management software. Technology has disrupted the traditional work processes into almost every industry. But this disruption hasn’t been negative, but positive. It has expedited workflows, increased work efficiency, improved accuracy levels, and moreover, has facilitated real-time information to the business owners, thus empowering them with the capabilities to make informed decisions. All of these benefits collectively contribute to business welfare in the long run. Employee administration and its complications, of course, aren’t an exception to this. The age-old musters could have been into the system for a long time, but then, today, employees too have become demanding, and therefore the accurate management of employee aspects is only possible with the help of technology. Besides these, the expenses incurred in nurturing resources exclusively for manual record keeping and tracking proves to be another confrontation for business owners. Let us now look at the benefits of employee management software. The software brings the following benefits. Simplified tracking of employee history, associated with their skills, abilities, and achievements. Technological solution towards maintaining accurate payroll computing, attendance record, employee shift scheduling, performance evaluation, absenteeism tracking, employee movements, and to manage various employee related functions. Reduces manual efforts incurred in employee manual tracking and record keeping. Data security of employee records at all times. Aligned with the business requirements. Helping the HR professional to add, delete, or to make any other changes based on the business or departmental needs. Compatible on desktop, as well as iOS systems, thus making it possible for the HR professionals to manage business functions on their smartphone as well. 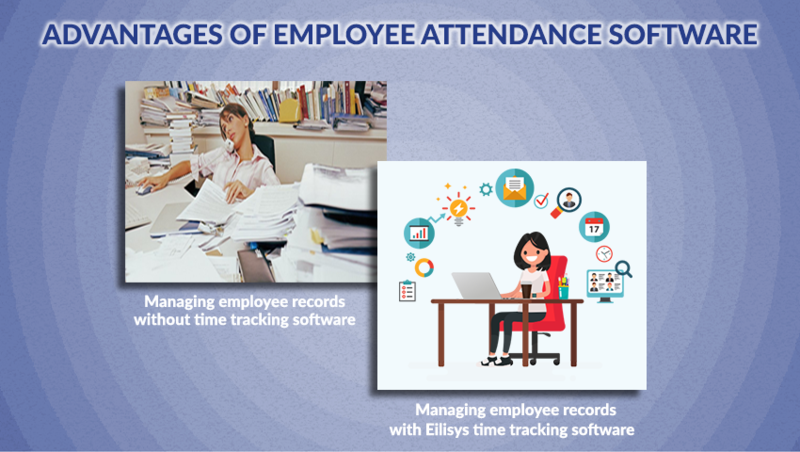 Since employee time tracking is a multi-dimensional business function, Eilisys’s employee time tracking software offer the following benefits. Compliance management through the management of various forms such form20, overtime, muster roll, etc. Easy and quick shift management for supervisors. Daily attendance tracking and management. Eliminate revenue leakage through accurate management and computing of overtime. Availability of comprehensive reports in multiple formats. Ability to design your own customized reports through the exclusive report writing tool. While operating business in the modern business environment, it is imperative that you adopt modern business practices, and most importantly embrace technology in the pursuit of keeping up with the dynamics of new-age business practices. Eilisys is your trusted partner in this endeavor that brings cost benefits and retains employee trust. For more details on the employee time tracking software, get in touch with Eilisys at (+91) 20 6729 5300. Far behind are the days of filling columns in register books. Today, market offers excellent workforce management software and employee time tracking software that help businesses stay organized without the hassles of micromanaging. Packed with advantages of high configurability and accuracy, these can easily take care of overtime costs and related compliance. Companies can have clarity on how their staff spends time and whether they are being productive or not. This comes across as a great aide when planning time frames for various tasks or a project’s accomplishment as you have a clear indication on time utilized for successful completion of various activities. Undoubtedly, people work better when they know that they are accountable for their work. Workforce management software makes it simple for companies, employers or clients to calculate the overall cost of each project or assignment. With features like screen captures, they can chose the level of visibility they want on the performance of each employee. This incredibly eliminates issues related to time-theft like buddy punching (someone else marking attendance for an absent employee). 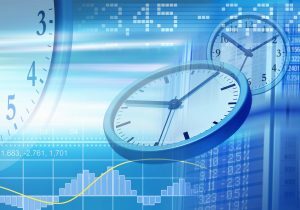 Automating the collection of time through employee time tracking software will considerably reduce the time spent by HR department and employees on manual tracking, recording and processing it. The digital records can be integrated with your payroll processing system that offers high accuracy by eliminating human error. Also, your HR team can save significant time spent on payroll calculation. With an efficient employee time tracking software in place, companies can have an overall picture of the time being consumed on a project. The tool can help them re-plan the resource allocation or re-prioritize activities for completion of projects that are more critical. Engaging employees by keeping them informed through a tool like employee self-service is a step towards greater employee-satisfaction. Employees often seek information on their leaves or how much time off they have left. Being able to access their own information without any hassle or going through the HR department makes them feel empowered. A manual time and attendance system makes it difficult to maintain proper records, thus no guarantee of accuracy. While an employee time tracking software cannot assure employment law compliance, it can provide you with accurate and relevant information that is needed to comply with labor regulations regarding proof of attendance.